Reviews of Optimise Design - Dublin 2, IE. 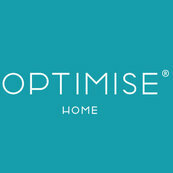 I hired Optimise Design to assist me with the interior layout of my home. I have worked with Optimise Design on many projects over the last few years, mainly dealing directly with their clients directly. We have worked with Optimise Design on several projects now and have found them second to none in design ideas and professionalism. I love them. Optimise Design combines wonderful, innovative and beautiful design, with top notch service. We renovated our 1920's home converting it from a 3 bedroom to a 1 bedroom with a small mezzazine and extension. Optimise Design combines wonderful, innovative and beautiful design, with top notch service.